TAKE NOTE COLORADO is a statewide community initiative to provide access to musical instruments and instruction to every K‑12 student in Colorado. 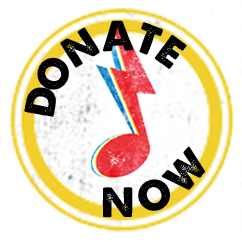 We create this access by raising funds, connecting communities to music resources, and raising awareness of the importance of student-centered and culturally-relevant music instruction. Take Note Colorado exists in recognition that music is a vital part of a well-rounded, vibrant education. Take Note Colorado was launched in January 2017 under the leadership of former Governor John Hickenlooper and Isaac Slade of the Fray, who share the belief that we can all play a role in bringing music into the lives of students. Hickenlooper and Slade were joined by musicians, philanthropists, music industry leaders, government representatives, community and nonprofit leaders to help realize this vision. Since then, Take Note has gained the support of thousands of Coloradans who believe in the power of music to change lives and drive positive social change. To learn more about Take Note Colorado, visit our FAQ section. Take Note Colorado is a 501(c)(3) nonprofit organization. Federal tax ID #82-0809862.